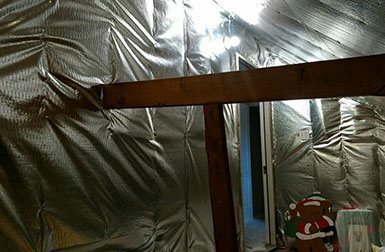 I’ve been doing insulation and construction for over 20 years. It wasn’t until about 10 years ago that I realized I wanted to run a business and offer a service. I started, owned and sold S.C.I. Insulation for Insulation Houston in 2010. Then, wanted to offer something better, so I started The Insulation Guru. I make it personal. I’ve insulated thousands of attis and have applied radiant barrier to hundreds. I take this very seriously, and have a strong passion for what I do. I feel that if you are going to get the job done, then get the job done right. I’ve taken the time to get certified and re-certified in several energy efficiency courses, as well as enroll and re-enroll in new courses. (Mascoat Ceramic Insulation Certified, LEED Green Associate- Leadership in Energy and Environmental Design, IECC- International Energy Conservation Code, T.D.H.C.A.-Texas Department of Housing and Community Affairs weatherization certified, BPI Building Performance Institute, Envelope and Building Analyst Certified, Polynum U.S.A. Radiant Barrier Certified, Uniflex White Insulated Roof Coating Certified. I’ve worked with some of the best in energy efficiency, insulation, radiant barrier, weatherization and ventilation. This is my life and this is what I do. I have a passion for the work that I do and I love the fact that I am doing something that brings me happiness. Let me help bring more comfort to your home and help you save on your energy bills. The Insulation Guru understands that customer satisfaction starts with arriving at your home on time. (If I am running late, I will call) You won’t have to interrupt your day, wasting valuable time waiting on me. My on-time record is second to none, and I arrive ready to work if the call arises. In some cases, a member of my experienced staff will respond to your service needs. My service technicians will apply the same attention to detail and quality workmanship standards that I set to every job, large or small. We want to earn your trust right from start to finish. 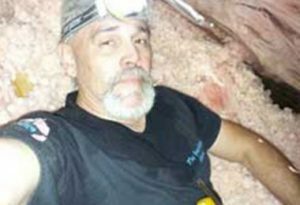 Whether it’s insulating or applying a good quality radiant barrier, or insulating under a crawl space, choose the professionals qualified to do the job – The Insulation Guru. Your insulation needs and services are performed by highly skilled and certified technicians. Foaming penetrations on the attic floor that lead to the living space below is often overlooked by most other companies. The Insulation Guru will also build cat-walks and storage decking in your attic. You won’t have to interrupt your day, wasting valuable time waiting on me. Our on-time record is second to none, and we arrive ready to work if the call arises. In some cases, a member of my experienced staff will respond to your service needs. My service technicians will apply the same attention to detail and quality workmanship standards that I set to every job, large or small. We want to earn your trust. Plenty of people say they can do insulation and radiant barrier, but what really matters is getting it done right from start to finish. Whether it’s insulating or applying a good quality radiant barrier or insulating under a crawl space, choose the professionals qualified to do the job–The Insulation Guru. Your insulation needs and services are performed by highly skilled and certified technicians. Foaming penetrations on the attic floor that lead to the living space below is often overlooked by most other companies – adding weatherization helps with the overall health of the home. The Insulation Guru will also build cat-walks and storage decking in your attic.